Dining in Branson is a great way to experience a wonderful escapade with the whole family because you will always have the opportunity to find a restaurant that will surely satisfy your cravings of delicious comfort foods. In Branson, you will find many dining spots that feature fine dining, buffets, steakhouse and seafood restaurants, as well as chain restaurants, eclectic eateries, and fast food outlets. Many of the finest restaurants in Branson that offer comfort foods include McFarlain’s Family Restaurant, Farmhouse Restaurant, and White River Fish House. McFarlain’s Family Restaurant in Branson is a great dining spot where you can have the chance to enjoy homestyle cooking in a cozy Ozarks atmosphere. Beautifully located inside the IMAX Entertainment Complex, this family restaurant is a favorite spot for everyone who loves well-prepared comfort foods, like meat loaf, chicken pot pie, pot roast, and chicken fried steak. Mc Farlain’s is a great place to enjoy fine dining in Branson as it excels at both meal preparation and customer service. With their menu filled with delicious dishes, you’ll have a hard time to decide what to order. Here are some good recommendations that are sure to satisfy your taste buds: Fried Green Tomatoes, the Pioneer Pot Roast, and that oh-so-tasty cornbread. Farmhouse Restaurant is another favorite dining spot in Branson that offers delicious food which tastes like it was made in a real country kitchen. In this restaurant, you’ll enjoy large portions of country-fried steak, fried chicken, and buttery mashed potatoes. Their signature blackberry cobbler will make your dining experience in this restaurant a satisfying one. Many of the satisfied customers always come back for more to this favorite eatery in Branson for decades. This restaurant offers a wide selection of soups and salads that include Smoked BBQ Salad and Vegetable Beef Soup, and their dinner menu offers everything from half chicken to Open Face Beef. Don’t miss to try their tasty sandwiches such as the Farmburger, Buffalo Chicken Breast, Bar-B-Que Pulled Pork, and a simple, but tasty, Grilled Cheese. The White River Fish House is another beautiful restaurant in Branson that serves comfort foods with some hearty country cooking including seafood dishes. When you dine at the White River Fish House, you can have opportunity to see the most picturesque view of Lake Taneycomo from floor to ceiling. This floating restaurant is actually located in a floating barge serving up local favorites to fishermen and shoppers alike. Restaurant guests who come to enjoy a thrilling boating adventure on the lake can park their boat on the pier near the restaurant to stop in for a respite and enjoy a delicious meal. 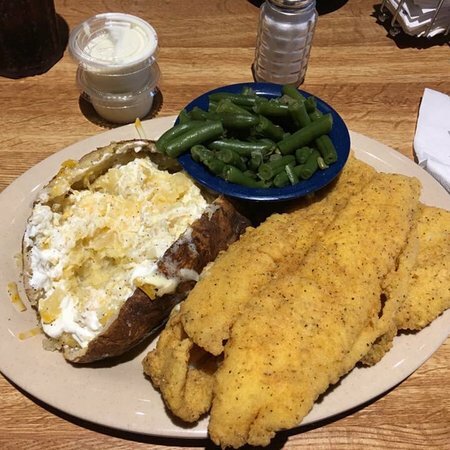 When you dine at the White River Fish House in Branson, you will enjoy a good variety of menu selections served up in large portions including appetizers such as fantastic home-style cornbread and Venison Stuffed Mushrooms. So, if you want to enjoy fine dining in Branson, don’t miss to visit the above mentioned restaurants as they all offer delicious comfort foods that are sure to satisfy your cravings.